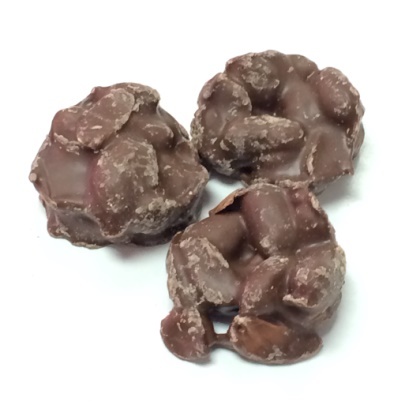 Fresh roasted whole peanuts and creamy milk chocolate come together to make a tasty treat. Approx. 2.5 pieces per ounce. 9 oz.